In case you didn’t know, Japan celebrates Thanksgiving Day, too. It’s not really the same as Thanksgiving in America, it’s more thanks for labour and production. But nevertheless at the end of every November the Japanese celebrate ‘Thanksgiving Day.’ I bring this up because right on the weekend following Thanksgiving was the annual NISMO Festival, a festival to give thanks to all the fans of Nissan and NISMO around the world. This year marks the 20th anniversary of this event celebrating Nissan and NISMO’s heritage and racing DNA. It’s held at Fuji Speedway as with most of these sorts of events near Tokyo. Nissan, wanting to make the 20th anniversary of this event an unforgettable one, made this year’s festival GT-R central. There was an emphasis in the connection between its racecars with its road cars. From Super GT racers to the Le Mans-conquering R33s and even a Bathurst winner for good measure, it was hard to escape Godzilla. Actually, it was hard to escape anywhere on the day. Being the Sunday after Thanksgiving there were quite a lot of people there. Some 28,000 or so die hard Nissan fans flocked to this event per Nissan’s official figures, just like in years past. It sure felt like there were 30,000 people at Fuji. I missed the first two hours of the day because that’s literally how long it took to get off the motorway and park up. On a normal day that would only take about half an hour. The reason for the large crowds even by Japan’s standard is Nissan’s presence in motorsports over the years. Super GT is the biggest domestic motorsport event in Japan with over 100,000 watching each race, in which Nissan has a strong fan base. That’s before talking about the Super Taikyu (endurance racing) and sports prototype racing Nissan has done. Crowds flock to Japan’s second largest auto manufacturer because, arguably, its history of road cars is just as impressive as its racecars. Regardless which era you grew up in, the GT-R and Z nomenclature were constants. Some of this nostalgia is also what’s been attracting people to this event for two decades. The day kicked off at 9 AM and the first event of the day which was a parade with 150 cars driven by NISMO owners. It was a shame I missed this event. The following events, the Circuit Safari Ride and the Z-Challenge Exhibition Race, were a no go, too, as I was probably still stuck in traffic somewhere. Once I made my way to Fuji I just got there in time for the start of the ‘Nissan Historic Exhibition Race’. 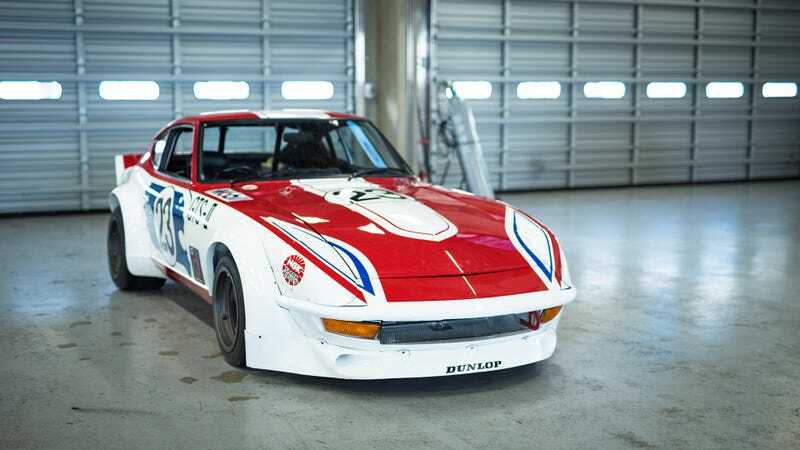 A good 20 historic racers from the 1970s would go take on Fuji Speedway over seven laps, plus a formation lap led by a Fairlady 240ZG and R31 Skyline. Participating cars included the Datsun Bluebird (KP510, KH510) and Nissan Sunny (B110, B310). While perhaps not quite as well known as the Skyline, these Bluebirds and Sunnies were greeted with enthusiasm and excitement from the crowd. It was at this moment I could feel the genuine passion for Nissan and these cars from the spectators. This wasn’t just another track day, this was very much a day where Nissan was giving back to its fans for their support throughout this motorsport year. If the crowds were this excited for the Bluebirds and Sunnies, I was not prepared for the NISMO GP. This event brought out the cars competing in race series such as Super GT (four GT500 cars and four GT300 cars), a GT3 R35 from the 12 Hours of Bathurst and Super Taikyu cars (three GT-R STX Class and four Z34-ST3s). There was no holding back from the drivers as they wanted to give the crowds a proper show. As I turned to look behind me, everyone had stopped what they were doing in the paddocks and had gone to the nearest place where they could view the track to see and hear the cars. Of course, with the cars being so varied in performance and specs it was obvious the GT500 cars would pull ahead and lap the rest of the 16 car grid. What made it even better though, was seeing some of the iconic liveries from the past on modern racecars such as the Calsonic and Motul liveries. After this it was a lunch break and the pit walk for the fans. I took this time as an opportunity to explore the pit garages, paddock and grand stand areas. Part of the appeal of this event is the openness. In most cases the pit garages are off limits to the public, however for the NISMO festival some of the legendary machines were proudly displayed for everyone to enjoy. Over on the other side of the circuit, at the grand stand area, there were more cars on display including a R390 GT1. Disappointingly, the R390 road car that Nissan has in storage wasn’t brought out this year. Hopefully next time. Nevertheless, it was cool to see this and even cooler they had left it unlocked so people could open it up to see inside. It’s not often people leave the doors of a GT1 unlocked. Further down was the R91CP, as seen at the Suzuka Sound of Engine. It was also around here where I caught the ‘Drift King’ himself, Keiichi Tsuchiya, meeting fans and signing autographs while in his driving suit from the 1992 All Japan Touring Car championship. As random ‘spots’ go, and it was totally unexpected, this was the best of the day. Though, the pair of R33 400Rs in the car park were also a nice random surprise. If you feel like spending some yen here there are several ways to do so. There were several vendors selling model cars, mainly Nissan and Japanese cars, but some bargains could be found. Nissan also had special commemorative model cars for the 20th anniversary event. Then there’s all the car parts. I kid you not I saw people carrying boxes of parts, tires around their arms, and even one guy walking around with a strut bar like he was some sort of fire dancer. All the big names were there from Top Secret, Endless, Mine’s, Rays, BBS, as well as Nissan’s own Omori Factory and Heritage Program. Down in a corner of the paddock area was basically a swap meet of random parts at discounted prices. Seeing some of the tuned cars on display was a great way to get inspired. From the 1100hp/1140NM drag-tuned R33 which did the quarter-mile in 8.256 seconds at 272 km/h to the K10 Nissan Micra converted to rear-wheel drive and powered by a SR20DET engine, there was no shortage of surprises here. The final event of the day was the ‘Racing GT-R Heritage Run.’ It was as awesome as it sounds. Kicking off with the newest cars first including this year’s Motul GT500 car. It wasn’t until the 90s JGTC (Super GT) came out where it felt like I had been transported back into Gran Turismo 2. Seeing the Motul R34 and Pennzoil R33 and R34 duo tackle the Dunlop corner with Mount Fuji dominating the background brought back all those thumb-numbing hours spent on the Playstation. They made their way back to the pits to let the ’95 and ’96 R33 LM out. The R33 LM was Nissan’s entry to the 24 Hours of Le Mans and despite their road car origins, the cars finished 10th (’95) and 15th (’96) overall respectively before retiring from Le Mans. Disappointingly, the R33 LM road car was nowhere to be seen and will remain a unicorn for me. The three Group A R32s in the iconic Calsonic, Taisan and HKS liveries made their way around Fuji as well. More people had trekked to the Dunlop corner by the point to catch these cars under Japan’s iconic mountain as the sun set. The pair of ’72 Hakosuka 2000 GT-R and the Kenmeri 2000 GT-R Racing Concept just made it out in time before it got dark. The Kenmeri in the black and gold John Player Special look was serious goals. For the finale, the cars did one more parade lap before lining up on the start/finish line, with concluding words from the drivers and Takao Katagiri, CEO of NISMO. As someone who recently got to chase down Ferraris in a GT-R Nismo, I enjoyed this event more than I expected. It was something I had been meaning to do for a while now and I’m already looking forward to next year. I urge you all to come see this at some point in the future, too. Just be prepared for the hell that was the six-hour traffic jam back to Tokyo. But seeing those Pennzoil GT-Rs, the LMs and Best Motoring-san was worth it. Lady driven R32 with 39,000km.